And then they put someone’s hand an inch or two from the blade. It’s like a miniature pizza cutter with more pressure, so sharp it can easily cut through thick aluminum. No thanks. Luckily for us, technological innovation has led to the manufacture of the electric can opener. One of the most solid and stable small appliances for the home, the electric can opener saves the fingers and time of millions of people every year. My grandmother is in her 80s. While still extremely strong in mind and spirit, her grip strength has deteriorated, and is not what it was 20 years ago. She has five manual can openers in a drawer of her kitchen, dating back to the 1950s. She is unable to use any of these, as she does not have the strength to simultaneously grasp the can opener lid and spin the crank. Being the intelligent woman she is, my grandmother thought ahead several years back when her arthritis started acting up. She went out and bought an electric can opener. I saw her using it to her advantage last Thanksgiving, and she was easily able to pop open all cans that were needed. She did this without having to worry about injuring herself due to lack of grip strength, shaky hands, or being so close to that dangerous small blade on a manual alternative. Not only is the above true, but also her new electric can opener offered an extreme speed advantage over her older manual wheel version. 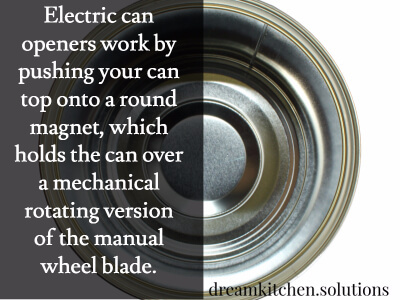 Electric can openers work by pushing your can top onto a round magnet, which holds the can over a mechanical rotating version of the manual wheel blade. At the press of a button, the can spins under the magnet and the blade drops down. With mechanically applied pressure, the blade cuts the can open, providing a perfectly opened can of food in seconds. In this article, we review three of the most highly rated electric can openers available for the home. These essential small appliances ensure that you don’t receive any sharp injuries, and greatly reduces total preparation time for your food, as the time it takes to open canned goods is drastically reduced. I recently purchased one of these electric can openers myself (the Cuisinart model reviewed below), and used it to make my weekly batch of chili. This process involves 13 cans in total, with vegetables, beans, and sauces of all kinds. By utilizing an electric can opener compared to a manual can opener, I drastically cut down the time it took to prepare this meal. These few minutes might not seem like a ton of time, but I make this every week. Five minutes saved fifty times is over four hours gained per year. That’s half a workday back in my pocket by using an electric can opener instead of a manual can opener. How about that! 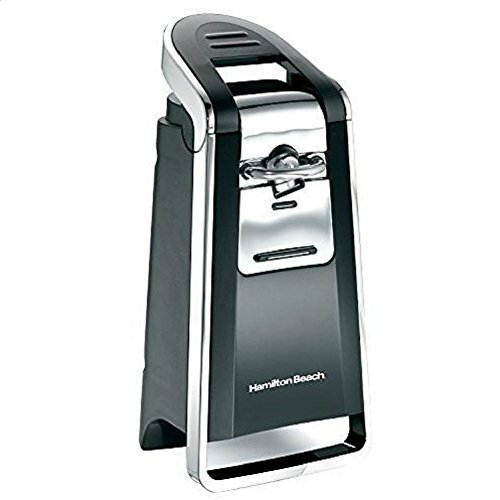 The Hamilton Beach Smooth Touch Can Opener is an exquisitely designed electric can opener, sure to fit in well with the rest of the small appliances in your kitchen. These sleek, tiny machines are as powerful as you’d expect them to be, coming from the champion of small appliances Hamilton Beach, and can take a significant amount of work out of meal preparation. One factor that makes the Hamilton Beach Smooth Touch Can Opener unique is the fact that it is designed in such a way that the blade does not cut into the top of the can but along the side. This ensures minimal contact of the blade with food. In effect, using the machines will result in a smoothly-cut can, and avoids splashing or seeping out of the content of the can as they remain closed until the lid is lifted. Another bonus is that the lid doesn’t go dropping into your food, always an issue with manual can openers. I hate having to fish that can lid out of there! The lever of this wonderfully designed electric can opener is very easy to use and requires only a little grip strength. My grandmother uses hers with ease! Using the machine requires very minimal effort. Just place the rim of the can to be opened under the cutting mechanism of the device. With the other hand, hold down the lever of the machine until the can completes one rotation. Then, simply lift the top of the can to remove the lid. With this simple effortless steps, your can will be opened in such a clean manner that your food will be left untouched. Also, this can opener will save you energy and time as well as eliminate the chances of getting injured. Measuring about 5 by 4 by 9 inches, the Hamilton Beach Smooth Touch Can Opener will open all standard-size cans, as well as cans with pop-top lids. The side-cutting mechanism also leaves a smooth edge that are touchable and poses no danger for you. They are very easy to use and almost easier to clean and maintain. The finely designed Cuisinart Deluxe Electric Can Opener remains one of the best brands on the market. It embodies style, convenience and power in such a way that it can open all kinds of cans and look good doing it. The tiny machine has lustrous chrome accents and elegant contours. It will fit perfectly with other modern appliances in your kitchen. Not only does the Cuisinart CCO-50BKN offer cool style, but it also offers enhanced efficiency as well. 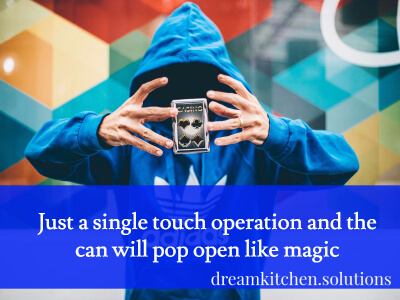 It can be operated effortlessly to open any size can – just a single touch operation and the can will pop open like magic. The strong magnetic lid holder and precision power cut blade combine to deliver smoothly-cut cans as quickly as possible, saving you a lot of effort and energy, and eliminating the chances of injury. The lever is also conveniently attached in such a manner that it can be detached if necessary. This features ensures that the machine is not just efficient in opening cans but is also a durable and sleek appliance that is easy to clean and maintain. 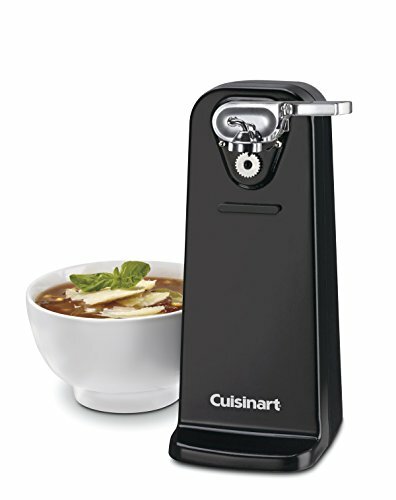 The slim-looking Cuisinart machine is a high-quality electric can opener. While some devices within similar range are selective of the sizes of can they can open, this wonderful machine opens all sizes of can. Built to North American Electrical Standard, the durability of the product is no question at all, and is in line with other Cuisinart products. When you talk about an electric can opener that is reliable and can save you energy and time, the Proctor Silex Power Can Opener remains the top choice. Widely known for their power and ability to open any kind of tough can, their impressive height allows them to open taller cans than most alternatives, including the two previously reviewed models. This brand of electric can opener is ideal for a busy family, as it is suitable to open almost any kind of can, offering solid cutting performance at all time. It is equally built in such a stable manner that ensures durability. 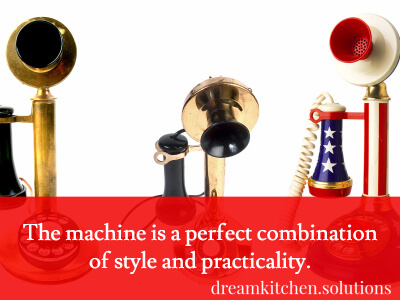 In fact, the machine is a perfect combination of style and practicality. In addition to the cutting lever that can be easily detached for proper clean-up, the Proctor Silex machine also has a sleek knife sharpener, strategically attached in the back of the mechanism to keep a sharp, well maintained wheel blade. There is also push-in cord storage, which allows the cord to retract into the can opener after being plugged in, reducing winding electrical cables on your kitchen countertop. 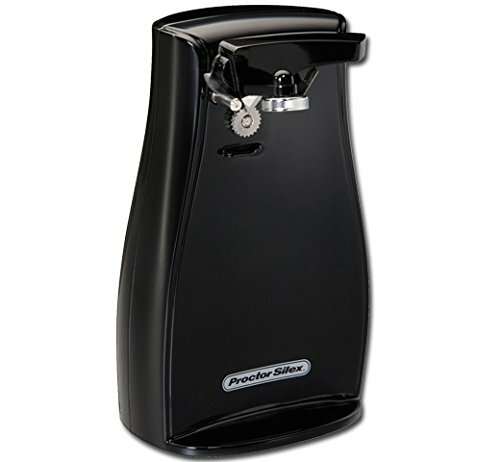 The way the Proctor Silex Power Can Opener works is another reason why it is considered among the best electric can openers in the market. Once you are ready to open a can, you simply bring it close to the cut lever. A magnet flips down and grips the top of the can, and the machine cuts neatly through the top of the can. When the cutting is done, it stops automatically, allowing you to remove the can while the magnet lifts the detached top. If you are looking for an electric can opener that can open almost all kinds of cans (including ones as tall as 7 inches), this is the perfect appliance for you. It is also conveniently designed in such a way that it is easy to maintain. Cleaning and maintenance is not an issue at all, and it will look great among other small appliances in your kitchen. In my case, this Culinare electric can opener isn't a necessity, but it will definitely make life a lot easier. It's affordable and good quality with nothing to complain about. Once You Pop, The Fun Don’t Stop: Electric can openers are the better alternative to the dangerous, easily blunted archaic version. Here are 3 of the best you can buy.